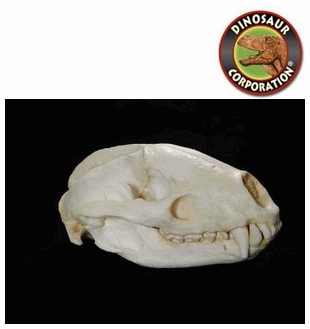 European Old World Badger skull replica is cast from original specimen. Melex meles. Adult female. Central Eurasia California Academy of Sciences Specimen. The European badger (Meles meles) is a species of badger in the family Mustelidae and is native to almost all of Europe and some parts of the Middle East. Several subspecies are recognised; the nominate subspecies (Meles meles meles) predominates over most of Europe. The European badger is classified as being of Least Concern by the IUCN as it has a wide range and a large population size which is stable, and even increasing in some areas.